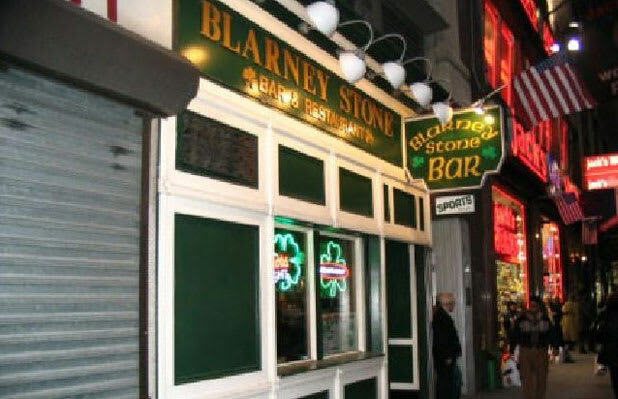 Address: 106 West 32nd St.
Usually a place that serves food that's not only edible but actually good can't actually be a dive, but we'll make an exception for this particular Blarney Stone (Blarney's Stones are all over New York, but this is the best). You know all that Mad Men afternoon martinis '60s nostalgia going around? How about some early '60s plumbers and steamfitters style nostalgia, with some sliced turkey and mashed potatoes and gravy? Oh, and this Blarney Stone also has the Sunday NFL Ticket, usually another dive bar disqualifier, that's mitigated in this case because it's played through TVs made in the Reagan years.